Do you know someone who is crazy for all things pink? 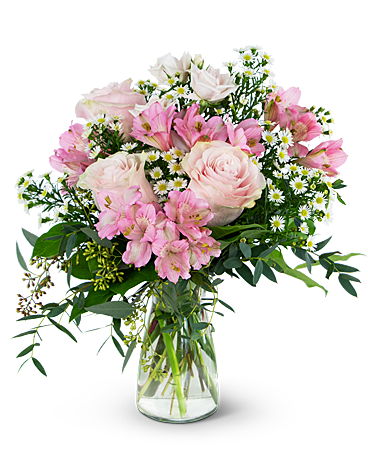 Surprise them with the Pink Meadow arrangement! Soft Pink Roses, Alstroemeria and Monte Cassino are surrounded by premium greens to give a fresh picked look.